Last week, Heaven Hill presented a check from proceeds raised for its annual philanthropy project to Project Hope— totaling a near $28,000 donation. Foundation staff including Flaget Memorial Hospital Foundation President Leslie Smart, Hospital President Jennifer Nolan, Dr. Monte Martin, nurses, survivors, and Heaven Hill employees were all in attendance. The event was captured by PLG-TV and the Kentucky Standard. Project Hope is the Flaget Memorial Hospital Foundation’s mission to raise $1.1 million for one of the most critical projects in Nelson and surrounding counties, an expanded cancer center. In a community where so many Heaven Hill employees, this project could touch the lives of several Heaven Hill employees and their loved ones. 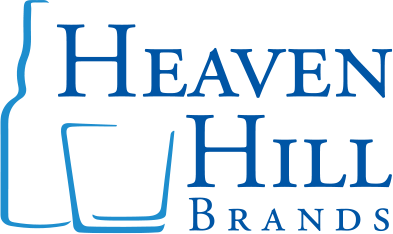 Annually, Heaven Hill selects one non-profit organization from employee submissions to be the recipient of company-wide fundraising efforts and will match total monies raised up to $5,000. This year’s project goal was to raise at least $10,000 so that the ‘Employees of Heaven Hill’ could attain naming rights to a chemotherapy infusion room in the expanded Cancer Center. Ultimately, employees surpassed the set goal and Heaven Hill donated an additional $10,000 on their behalf to honor their benevolent contributions and passion for the project. Now the ‘Employees of Heaven Hill’ will attain the naming rights to two exam rooms in the expanded cancer center servicing both chemo and radiation patients. 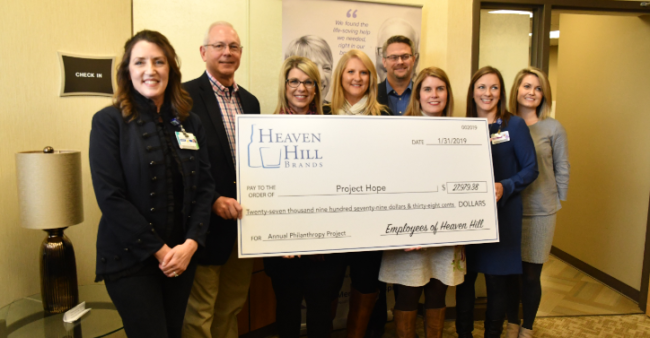 Additionally, Heaven Hill helped align a partnership between Hope Scarves and Flaget Memorial Hospital allowing $2,000 of the total donation to go toward scarves for the hospital’s resource center. Heaven Hill is proud to host an employee-driven and collaborative fundraising project that benefits charities close to its employees’ hearts. Thank you to everyone who made this year’s program a success.